The former Hawks head says in court papers he has served SA ‘faithfully, patriotically and with distinction’ for more than 35 years. 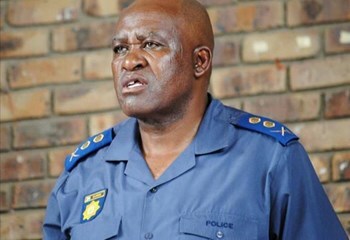 Suspended Hawks boss Lieutenant-General Berning Ntlemeza has reportedly claimed he has been feeling inadequate and lacking self-esteem since the North Gauteng High Court ordered his removal from the elite police crime-fighting unit, The Times reports. This is contained in his application to the Supreme Court of Appeal (SCA) in Bloemfontein for leave to appeal the high court’s order that set aside his appointment as the head of the Directorate for Priority Crime Investigation (DPCI), better known as the Hawks. “My career as a policeman is now entirely in the hands of this honourable court. I have served my country faithfully, patriotically and with distinction for a period of more than 35 years,” an affidavit filed by his lawyer Comfort Ngidi last month reportedly stated. “The decision by the court has been a devastating blow to not only me but my family and to the country as a whole. I now find myself inadequate with a very low self-esteem and a perpetual blemish. “The reputation I have built over the years without a blemish has now been shattered at the time when I am in the afternoon of my career as a policeman,” the document further reads. Ntlemeza has also lodged another high court application seeking an interdict against Police Minister Fikile Mbalula to stop him from entering the Hawks’ head office in Pretoria and interfering with his duties.